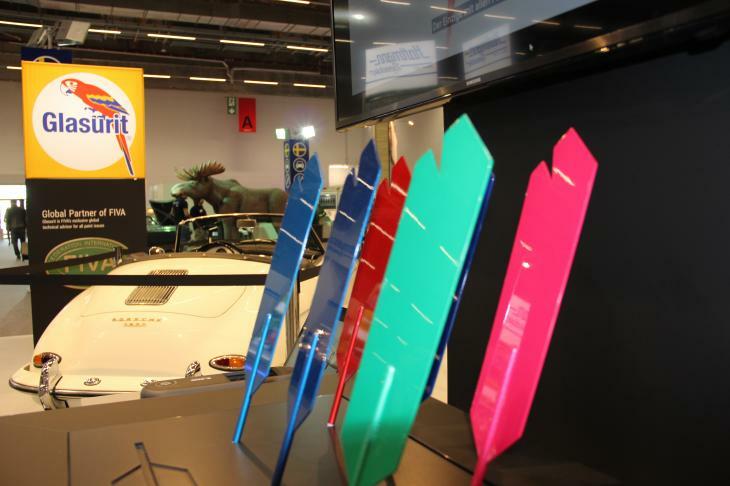 Glasurit, BASF’s premium brand, offers its comprehensive product portfolio to support bodyshops with digital colour matching. It includes the new Glasurit Ratio Scan 12/6 spectrophotometer, which draws on the world’s largest colour database – Glasurit colour Online – and ensures optimal refinishing solutions. Introduced back in 2009, the digital spectrophotometers considerably accelerated the colour-matching process in the bodyshop and made mixing formulas easier to access. In order to further optimize the measurement reliability and refinishing results, Glasurit says it has refined its already established spectrophotometers. For instance, the latest generation – Glasurit Ratio Scan 12/6 – scans the paint surface even more finely and offers technical innovations and intelligent links to ensure an even quicker and more convenient work flow. With the device’s built-in digital camera, the user can scan the area surrounding the repair site in real-time for a scratch-free area for measurement and depict it on the colour touch display. With two types of light – one blue and one white LED – a total of 12 angles of incidence of light are measured on the paint surface and documented in six photos. In so doing, the device can precisely analyze the colour and texture of the colour and effect pigments and can reliably determine even challenging colours. “We would like to support our customers in finding ideal refinish solutions and optimizing the individual process steps in day-to-day work. To this end, the spectrophotometers are connected with Glasurit’s Profit Manager Pro colour and materials management system. The results can be transmitted wirelessly to the computer in the mixing room via the certified Wi-Fi interface and compared to the colour Online database,” explained Uwe Westerwelle, head of Glasurit Digital colour Solutions. In addition to the review of millions of measurement values within the colour database, a BASF-patented search and correction algorithm ensures that the Glasurit Ratio Scan 12/6 measurement results are converted into perfect refinish solutions. Not only are the best matches displayed; the algorithms also provide suggestions for correction that can make the results even better. Colour visualizations and spectral curves show how well the suggested solutions match the measured colours. The relevant formulation can be mixed directly as needed. 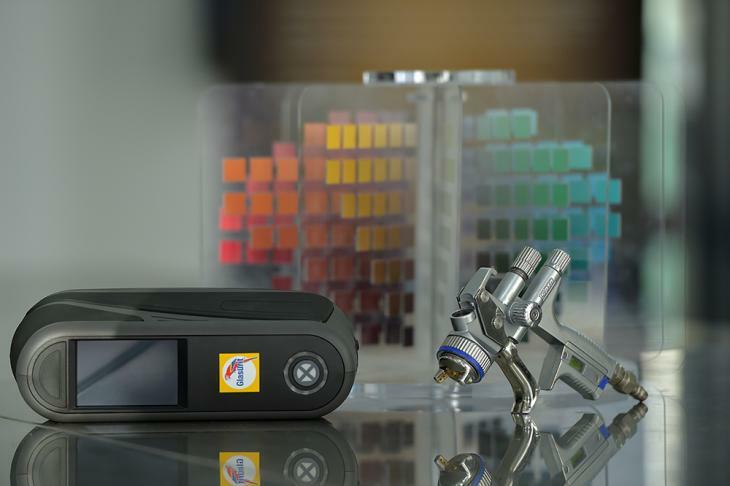 As a world leader in providing solutions for automotive refinishing, Glasurit offers its customers the Ratio Scan 12/6 spectrophotometer, a modern system for all-around digital colour matching in their everyday bodyshop routine. The convenient and reliable measurement makes for improved processes and higher throughput rates when bodyshops register repair jobs. Additionally, a comprehensive range of services ensures that the interaction between the spectrophotometer and the colour and materials management system is optimally coordinated and that new measurement values are added to the database on an ongoing basis.